Dyson DC21, DC23 Axle, 909804-01 Dyson Part Number: 909804-01 Dyson Axle. Manufacturer/Part numb..
Dyson DC21, DC23 Brush Bar Actuator Transparent Scarlet, 910196-01 Dyson Part Number: 910196-01 ..
Dyson DC21, DC23 Brushbar Microswitch, 913958-01 Dyson Part Number: 913958-01 Dyson Brushbar Mic..
Dyson DC21, DC23 End Cap Assembly Left Dyson Product Code: 909549-03 Replacement end cap assembly ..
Dyson DC21, DC23 End Cap Assembly Right Dyson Product Code: 909548-03 Replacement end cap assembly..
Dyson DC21, DC23 Gimble Cover Iron, 909760-01 Dyson Part Number: 909760-01 Dyson Iron Gimble Cov..
Dyson DC21, DC23 Handle Cover Transparent Scarlet, 910858-01 Dyson Part Number: 910858-01 Dyson ..
Dyson DC21, DC23 Lower Brushbar Motor Cover Iron, 910192-01 Dyson Part Number: 910192-01 Dyson I..
Dyson DC21, DC23 Outer Wheel Hub Titanium, 909797-01 Dyson Part Number: 909797-01 Dyson Outer Wh..
Dyson DC21 DC23 Powerbrush Spring, 910987-01 Dyson Part Number: 910987-01 Dyson Spring. 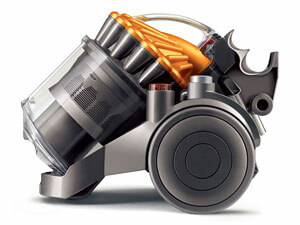 Manufact..
Dyson DC21, DC23 Rope Seal, 912641-02 Dyson Part Number: 912641-02 Dyson Rope Seal. Manufacturer..
Dyson DC21, DC23 Stow Microswitch Cam, 910969-01 Dyson Part Number: 910969-01 Dyson Stow Microsw..
Dyson DC21, DC23 Stow Neck Cover Iron, 909803-01 Dyson Part Number: 909803-01 Dyson Iron Stow Ne..
Dyson DC21, DC23 Stow Wheel Iron, 904579-02 Dyson Part Number: 904579-02 Dyson Iron Stow Wheel. 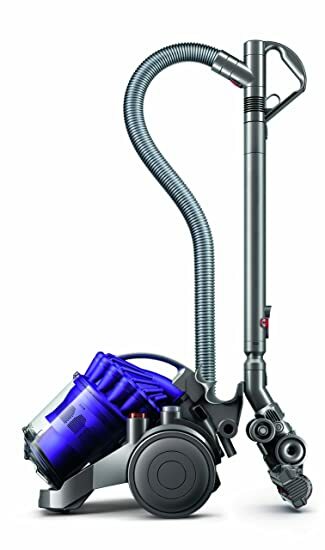 ..
Dyson DC21, DC23 Switch Housing Spring, 900199-48 Dyson Part Number: 900199-48 Switch Housi..
Dyson DC21, DC23 Swivel Catch Titanium, 907641-07 Dyson Part Number: 907641-07 Genuine replaceme..
Dyson DC21, DC23 Wand Cuff Cover Iron, 910860-01 Dyson Part Number: 910860-01 Dyson Wand Cuff Co..
Dyson DC23 Bin Base Assembly, 914797-01 Dyson Part Number: 914797-01 ..
Dyson DC23 Cable Rewind Actuator Button Silver, 913656-01 Dyson Part Number: 913656-01 Cabl..
Dyson DC23 Cable Rewind Assembly, 911525-04 Dyson Part Number: 911525-04 Cable Rewind Assembly I..
Dyson DC23 Castor Body Iron, 900465-08 Dyson Part Number: 900465-08 Castor Body Suitabl..
Dyson DC23 Cover Switch, 920214-02 Dyson Part Number: 920214-02 Dyson Cover, Switch Sui..
Dyson DC23 Crevice Tool Iron, 913612-01 Dyson Part Number: 913612-01 Crevice Tool Suita..
Dyson DC23 Cyclone Allergy, 914735-02 Dyson Part Number: 914735-02 This Hoover, substance piston..
Dyson DC23 Cyclone Exhaust Seal, 913661-01 Dyson Part Number: 913661-01 Cyclone Exhaust Sea..
Dyson DC23 Cyclone Release Catch Silver, 913649-01 Dyson Part Number: 913649-01 Cyclone Rel..
Dyson DC23 Duct Cover Iron, 913576-01 Dyson Part Number: 913576-01 Duct Cover Suitable ..
Dyson DC23 Dusting Brush, 913614-02 Dyson Part Number: 913614-02 Dusting Brush Suitable..
Dyson DC23 Front Castor Wheel Iron, 900463-08 Dyson Part Number: 900463-08 Front Castor Whe..
Dyson DC23 Hose Assembly Dyson Product Code: 914851-01 - Replacement hose for your Dyson vacuum cl..
Dyson DC23 Main Chassis Iron, 913575-01 Dyson Part Number: 913575-01 Main Chassis Suita..
Dyson DC23 Pre-Motor Filter Housing Iron, 916081-01 Dyson Part Number: 916081-01 Pre-Motor ..